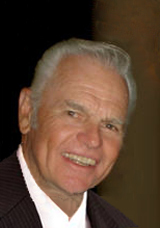 Ray Rivers is one of the most respected and well recognized personalities in ballroom dancing.....and he's our COACH! Ray's career highlights include World Latin Finalist, World BaIlroom Semi-Finalist, Australian Professional Champion, 3 times Professional Champion of Champions in Latin) Ballroom, Exhibition & Australian New Vogue and Amateur National Champion. As a professional adjudicator he has judged around the World in over 30 countries.